Read the latest news about developments and innovations to improve your customer experience. 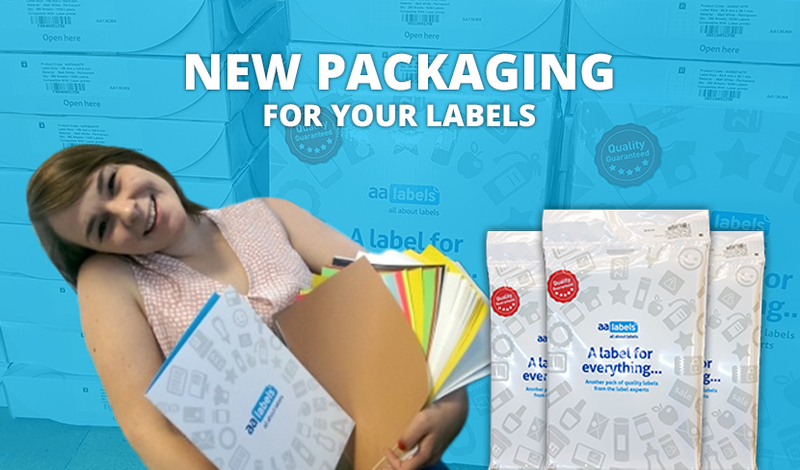 As part of our continuous development programme, this month sees the introduction of our new upgraded packaging designed to deliver your A4 label sheets in perfect condition. By keeping the sheets protected from accidental abrasion, dust, humidity, light and curling. 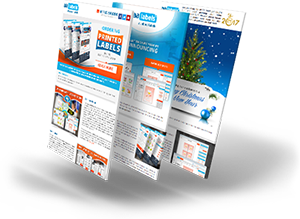 All of the elements that prevent optimum print performance, or the ease of application for printed labels. 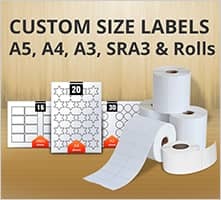 For smaller quantities of A4 label sheets e.g. up to 100 sheets of matt-white paper labels (WTP) and slightly fewer sheets of other thicker label face-stocks, we have designed an attractive, white "grip seal" low density Polyethylene (LDPE) bag, with an anti-tamper serration to open upon delivery. The labels are kept flat within the bag and protected by a 3mm cardboard insert that helps to maintain the flatness of the label sheets. Once the serrated strip is removed from the bag, the labels can be accessed by opening the "grip seal" and removing the number of sheets required and resealed after use to protect the labels from damage. Biodegrading & Recycling: With advances in research, it is now possible through various non-chemical treatments to quickly and significantly degrade LDPE, lessening the negative environmental impact and the material can also be recycled for reuse. 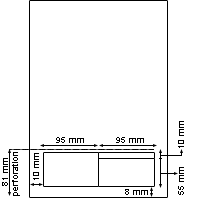 For larger quantities of A4 sheet labels c. 250 sheets of WTP we have designed an innovative new box that protects labels and facilitates ease of access, via a "drop-down" lower section of the box opening, as shown in the diagrams below. The label sheets are also sealed in a thin inner Polypropylene polymer (CPP) bag with an "easy-tear" opening. 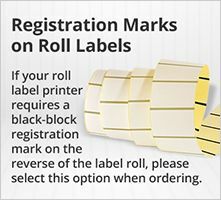 This provides additional protection and assists with maintaining the flatness of the label sheets in the box. Once sealed in the protective inner bag the labels are placed into the new cardboard box packaging and the box shrink wrapped for additional protection in transit. Upon receipt of your labels and removal of the outer shrink wrapping, open the upper lid of the box and pull down the lower section to remove the top of the serrated inner bag to access the label sheets and simply close again once the labels are removed, retaining the sheets in a clean, dust free, flat condition. Biodegrading & Recycling: The thin inner CPP inner bag degrades from exposure to heat and UV radiation, such as that present in sunlight and the outer shrink wrap is a degradable Polyolefin, designed to retain functionality as a commodity plastic for the required service life but degrade to non-toxic end products in a disposal environment. The cardboard box itself is both biodegradable and recyclable. Our new look "Euro" style A4 sheets are proving very popular with customers, since the introduction earlier this year and we continue to increase the number of label shapes and sizes offered in this format. 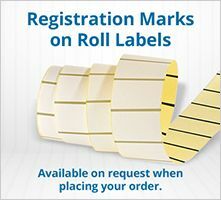 The introduction was in response to customer frustrations with the problems sometimes caused by the industry term "wet edge" on sheets of labels when printing, caused by pressure on the label sheets leaching small amounts of adhesive onto the printer rollers. 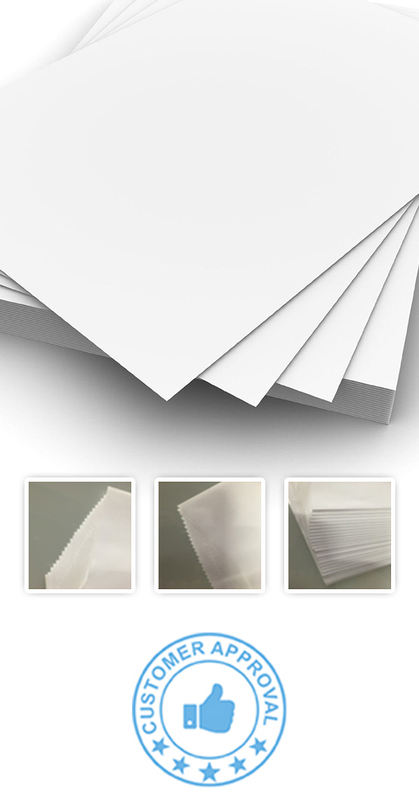 To remedy this we have introduced our new "Dry Edge Sheets" in all materials on A4 sheets, as standard. 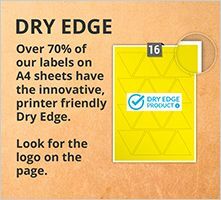 Although relatively new to the UK, edge trimming of sheets has been a standard for label manufacture in Europe for some while now and significantly improves the print performance and on full sheets of A4 assists the label peel from the release liner, without the need for "back cuts" in the release liner. 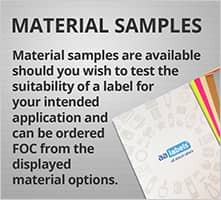 In response to popular demand we have been steadily increasing the range of labels available within our direct thermal range and now have one of the most comprehensive ranges available, including paper and Polypropylene face-stocks, paper with protective coatings, coloured papers and permanent, removable and freezer adhesives. 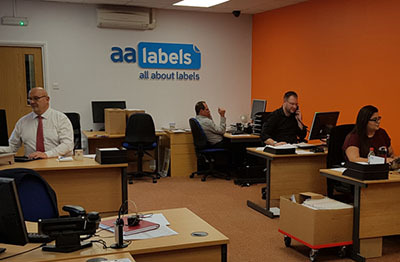 The orange and yellow coloured papers, are proving very popular with retailers , requiring eye—catching labels printed with variable information for offers and promotions. 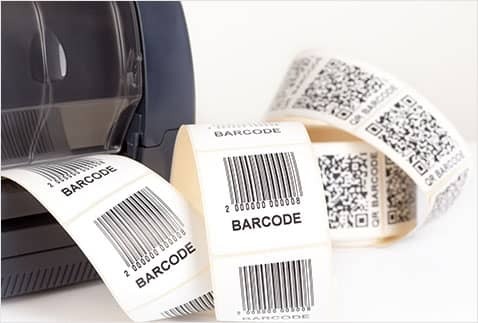 In addition to the plain labels we can also supply pre-printed direct thermal labels with your brand image, or design. Just upload the artwork when placing your order on the website and we will do the rest. 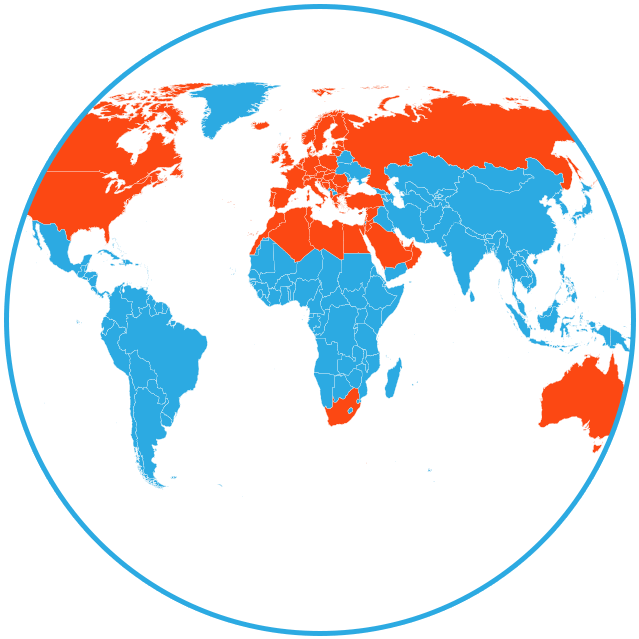 It could not be simpler! 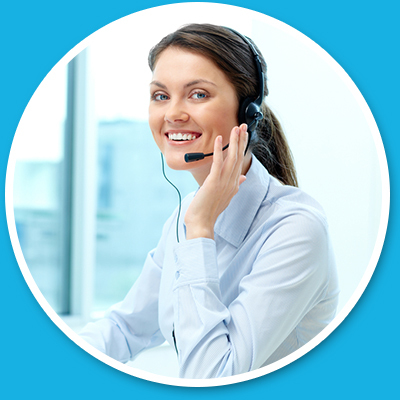 It's always been our mission to deliver the best possible support to our customers, which is why we introduced yet another way you can easily get in touch with us –Live Chat! 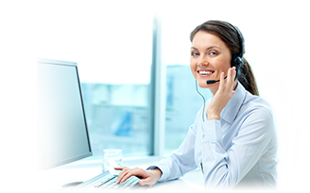 Using Live Chat means you don't have to call us to get an instant response, or wait for a reply like you would over email. Our objective is to answer all Live Chat requests in under 60 seconds, so within a minute you'll be talking to a real member of our customer care team (not a bot), who will be able to answer your questions in real-time. 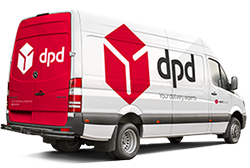 Live Chat is available Monday to Friday from 08:30 to 17:30; outside of those hours you can of course still contact us by leaving a message on, using the enquiry form on the website, or email as normal. The introduction of "live chat" is just one of many service improvements we'll be making over the coming months on our website, to make it even easier to order labels and bring your design ideas to reality.